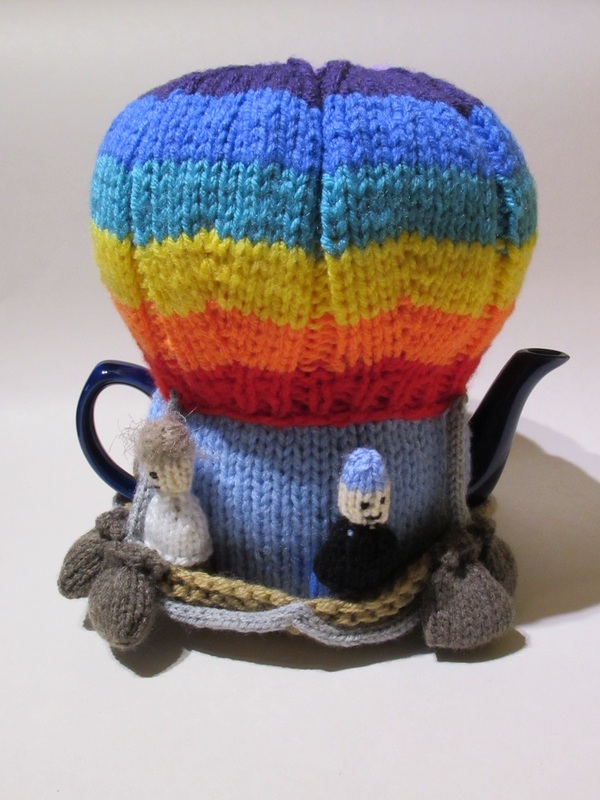 Enjoy the great outdoors with this wondrous rainbow hot air balloon tea cosy. 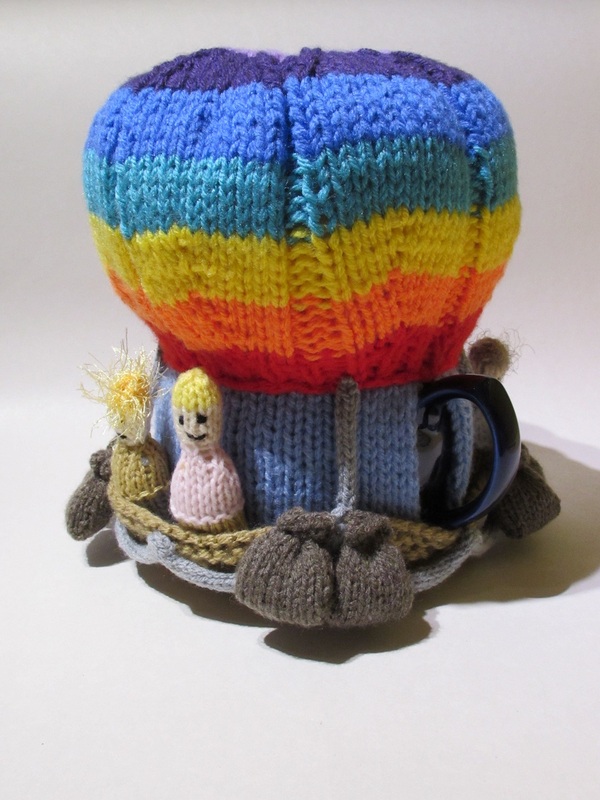 Perfect for anyone who loves hot air balloon festivals, or who is a pilot or has recently enjoyed a hot air balloon ride this would be a perfect memento. 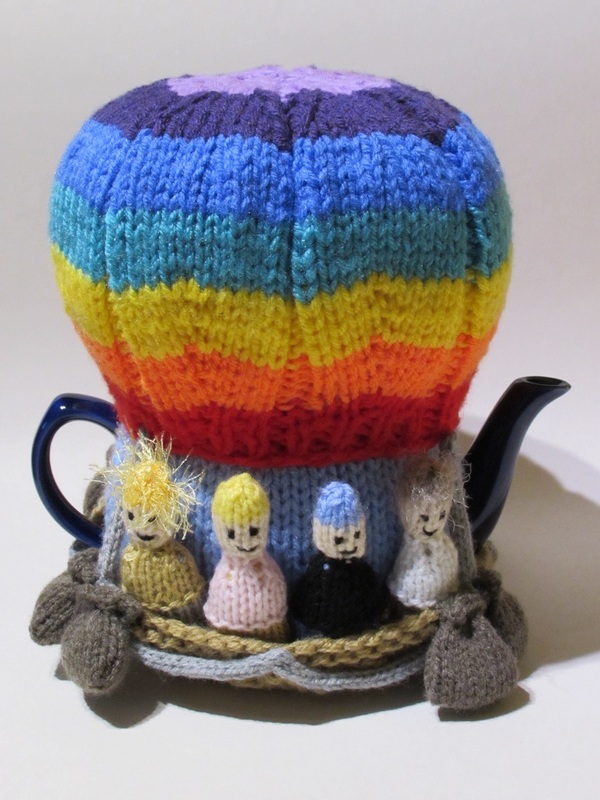 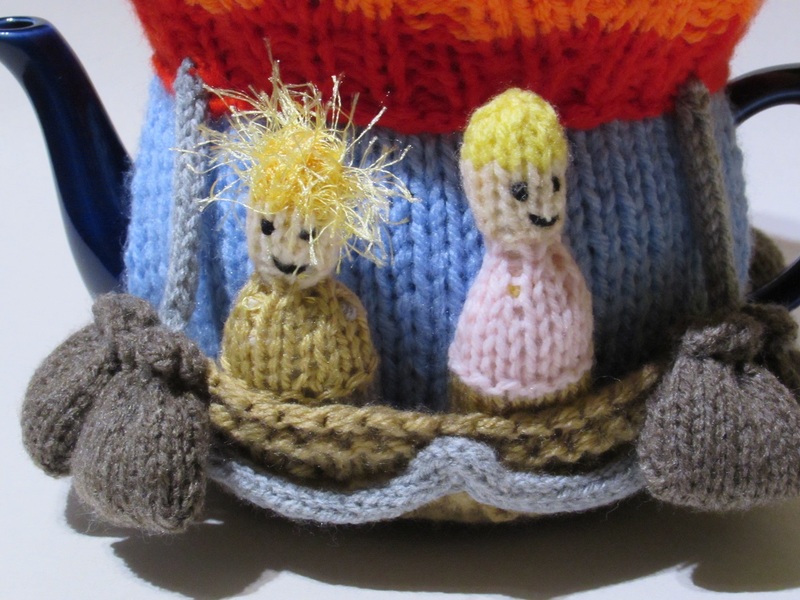 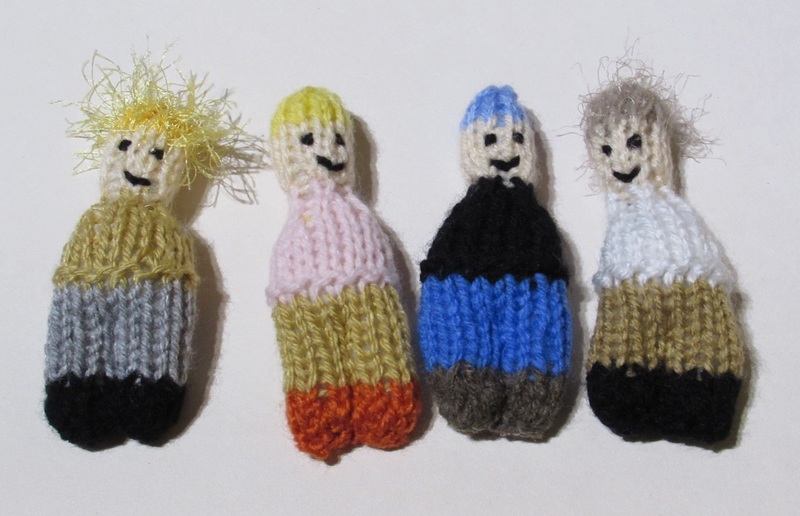 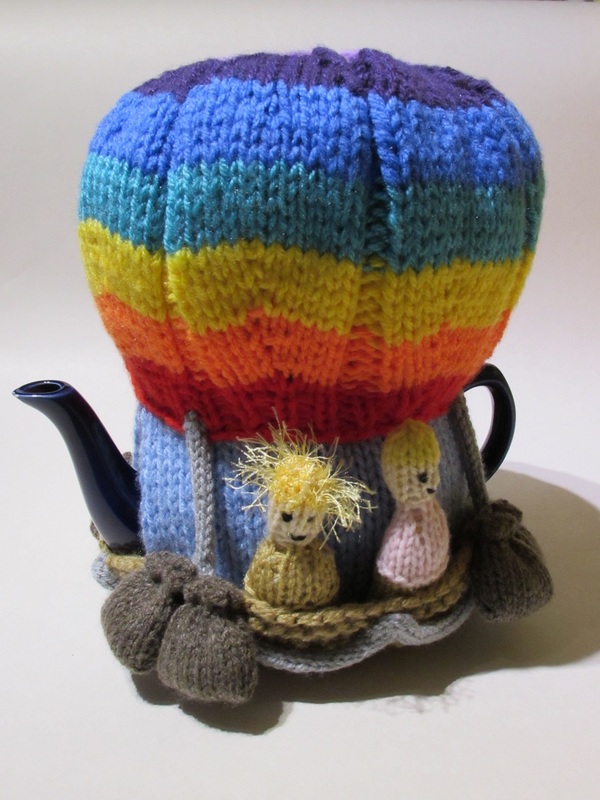 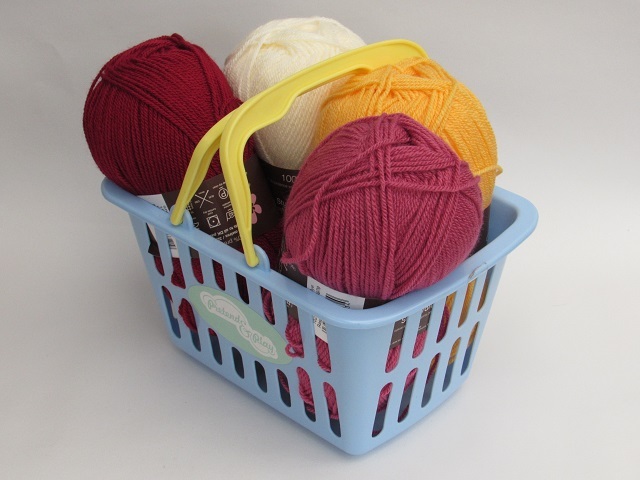 The hot air balloon tea cosy is knitted in bright rainbow colours and it carries removeable passengers. 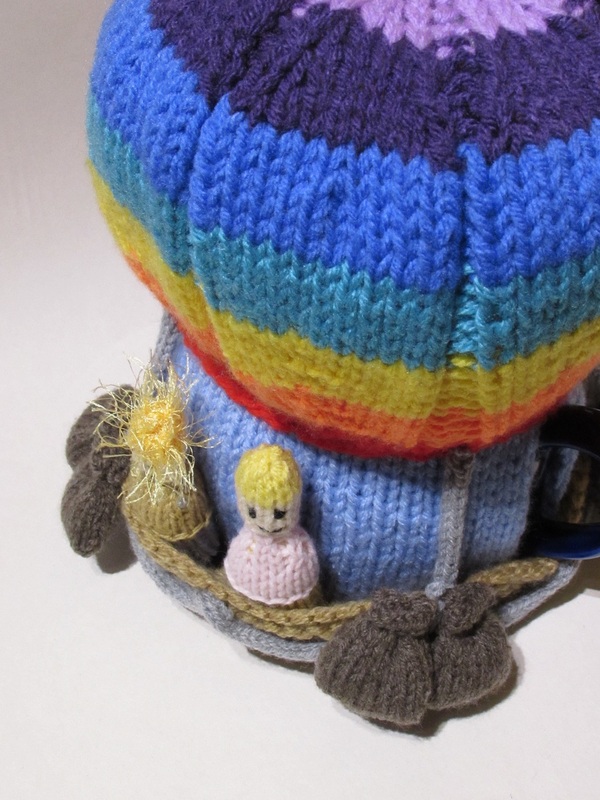 The balloon has grey rigging and eight brown sandbags. 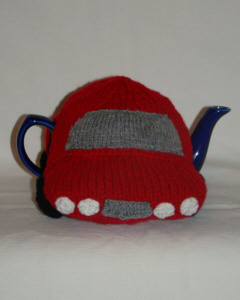 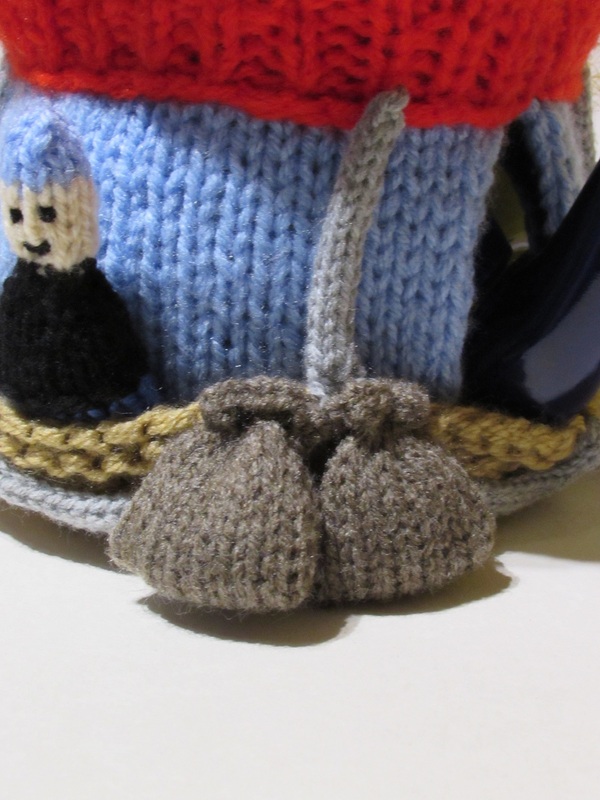 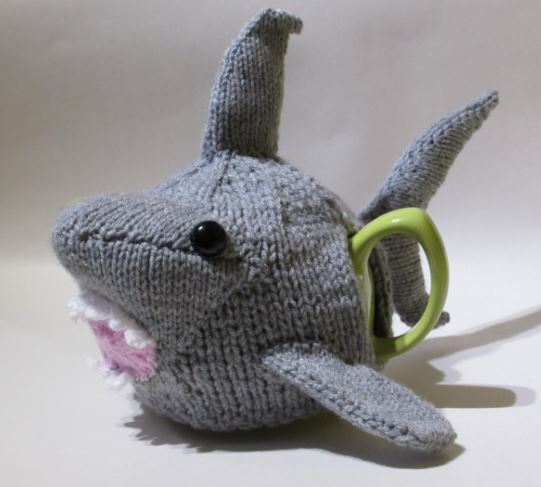 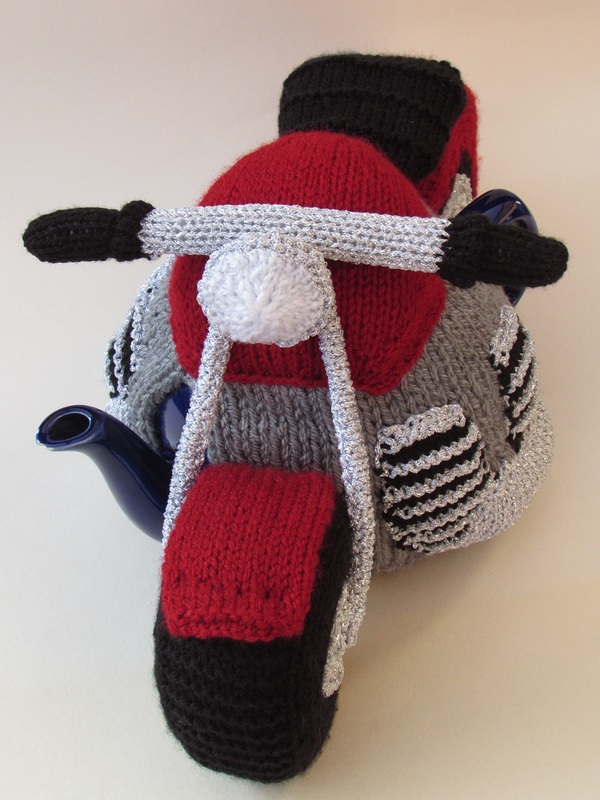 The tea cosy is knitted with double thickness yarn to keep the tea extra warm. 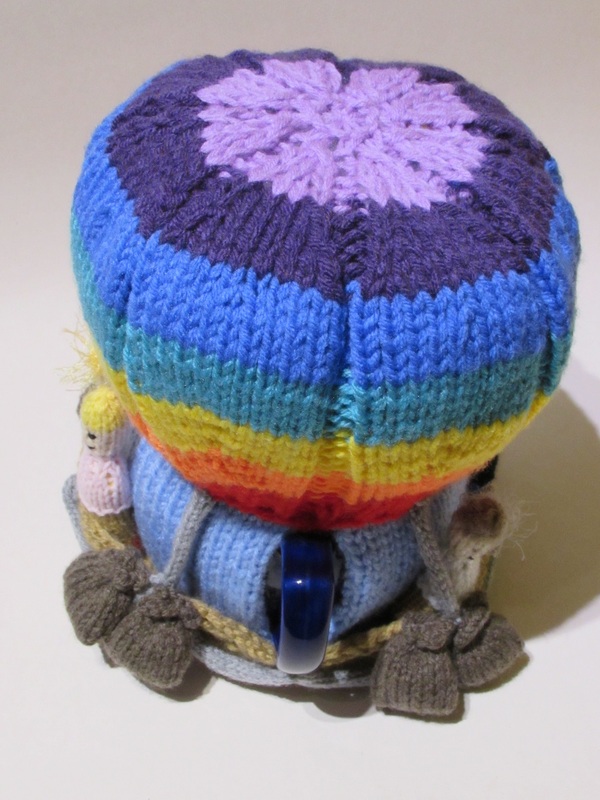 The tea cosy is great fun and a real jaw dropper at tea time because it is so unusual and its size has a real presence on the tea table.